With Black Rock's Safety Case, you can say with confidence that you came prepared. 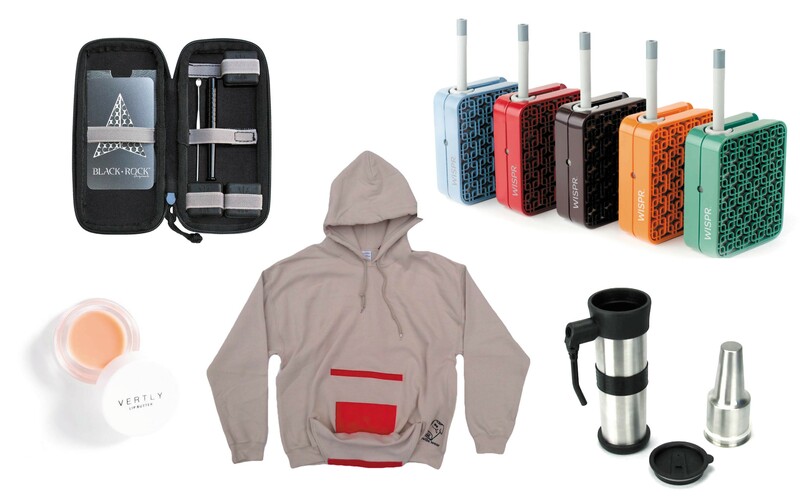 The complete pack offers nearly every accoutrement a smoker may desire when they're out in the wild. Ditch the weighted grinder for the case's credit-card-style grinder. Fret not about finding a suitable clutch with a 25-count supply of rolling tips. And you can load up two pebble cases for loose flower. It's also smell-proof if you're a little too self-aware. Add the non-stick silicone mat for extracts and the rolling papers, and you'll never be in a pinch. When you're out in the cold, layering is key. And as you bundle up, why not go the utilitarian route with Rolla Wear's Dopest Hoodie Ever Made pullover? The sweatshirt boasts a stash pocket inside the hood, and a built-in rolling tray inside the central front pocket. Which means less gear to worry about. Oh yeah, and save your burnt ends with the drawstrings that double as roach clips. You may be like many skiers and snowboarders who prefer a vaporizer as a means to stay fueled out on the mountain. One of the problems of using vaporizers is that their lithium batteries just don't hold up in colder weather. Ditch the juice with the WISPR 2, which utilizes butane as its form of heat. The flower vaporizer also benefits from a larger chamber, which means longer windows for you to relax. The mouthpiece is also detachable, making the vape easily stored in a chest pocket. Cold winds sink unprotected lips — or something like that. But chapped and cracked lips are no joke, especially when further dried out by smoking and cottonmouth. Vertly's 25 mg CBD-infused lip balm is a great option to protect yourself when dealing with the wind and sun. The balm is made of natural and organic ingredients, and doubles as a skin balm if you're feeling a headache coming on.